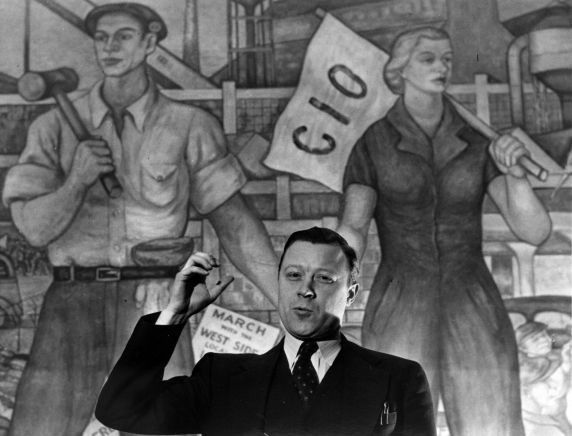 During an early 1950s tour of the recently modernised Ford plant in Cleveland the President of the United Automobile Workers Union, Walter Reuther, was shown the latest car construction robots. His over zealous guide turned to him and said “Walter how are you going to get all these robots to pay their union dues?” To which Walter replied “How are you going to get all these robots to buy a Ford”. And there in lies the central dilemma of automation. It’s hard not to be intoxicated with the progress of automation. Long the stuff of science fiction, improvements in low cost computing power and the vast increase in data at our finger-tips is fuelling a tangible revolution in artificial intelligence. Just as we have got used to phone apps that allow us to effortlessly conduct our basic banking affairs we now have the prospect of those applications being able to respond to our voice, predict our needs and suggest actions. And imagine the point at which the blockchain provide us all with a tamper proof, universally verifiable means to prove our identity and our purchases or medical history. Humanity is having a pretty good go at messing things up right now but automation at scale and with real intelligence might just be the defining technology of our age and something to be rightly excited about. Particularly when it offers our businesses the holy grail of simultaneous cost savings and vast improvements in customer service and satisfaction. But perhaps we should be rather more circumspect and cautious. The short termism that pervades our business and marketing culture means that we are almost pathologically unable to understand the longer-term consequences of our actions. And when it comes to automation those longer-term consequences are looking more and more dire every day. If you think Brexit is bad news for business, you ain’t seen nothing yet. The World Economic Forum predicts that by 2020 automation will have delivered two million new jobs into the global economy, the trouble is that in that short time it will have also destroyed seven million. Closer to home, the British Retail Consortium reckon that the next decade will see the evaporation of 900,000 retail jobs, in financial services this figure is likely to be between one and two million. These numbers are so vast it is impossible to imagine that there is a sector or sectors waiting in the wings that has any hope of clearing up the carnage. And just in case you are all breathing a sign of relief that it’s the less educated or less important people that are going to suffer most, remember the words of author Jerry Kaplan “Automation doesn’t care about the colour of your collar”. Which brings us back to the Ford dilemma. Who is going to be able to afford the services, products and brands and businesses that we create and sell? You see these people are not simply expensive and expendable employees they are our customers. And if that isn’t the concern of marketing I don’t know what is. Marketing isn’t simply responsible for identifying today’s customers but should be equally obsessed with the source of future revenue. For identifying who will buy in the future and and steering the organisation in the right direction to capitalise on them. And yet for all the discussion of the benefits of automation I can’t see anyone engaging with the implications for business of an economy dominated by gigs and not secure, well-paid employment. I’m not advocating for a moment that we put the automation genie back in the bottle even if we could. The advantages are too clear and the momentum too great. I’m simply suggesting that we might match our giddiness with a little concern for both the human and economic cost of our progress, a measure of responsibility to match the power that we possess. That we act with a little noblesse oblige. Noblesse oblige is a very old fashioned and unfashionable concept meaning obligations of the nobility. It’s an idea that for centuries ensured that the powerful acted with responsibility to those less fortunate than themselves and upon whom they depended. It’s high time that we resurrected noblesse oblige to ensure we too take responsibility for our actions. And perhaps in time honoured marketing tradition we might rebrand it. We might call this approach progress oblige, the responsibilities to society of those that shape, create and deliver progress. A very balanced piece. Ironic too that the very President who fails to admit a link between automation and decline in manufacturing jobs also displays a complete absence of noblesse oblige.